Wood floors add warmth and beauty to any home. When properly finished and cared for, your flooring investment will last for years. I Clean Carpet And So Much More LLC is the preferred Chalfont wood floor cleaning and maintenance company. We have built our reputation as Chalfont's house cleaning company of choice, and also pride ourselves on our expert wood floor cleaning services. With each cleaning, your floors are thoroughly vacuumed to remove any dirt and grit that is so abrasive to wood floors. Area rugs are also vacuumed or to remove collected grit. Next, a premium wood floor cleaner will have your wood floors fresh and gleaming once again. 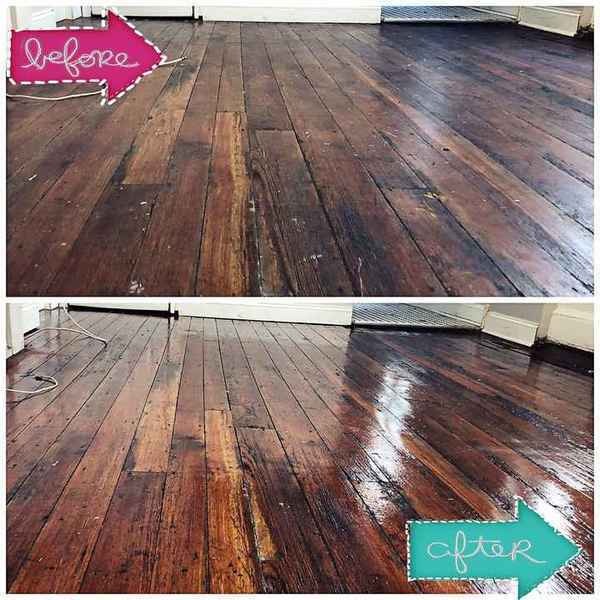 Even with regular cleaning, your wood floor will lose it's luster over time, especially in high traffic areas. Residents who use I Clean Carpet And So Much More LLC for wood floor maintenance in Chalfont know that floors that lose their shine don't necessarily have to be completely refinished. We have a remedy that will serve as a bridge, prolonging need for floor refinishing. We can apply a polyurethane based wood floor product that will add a clean sheen to your wood floors. Let I Clean Carpet And So Much More LLC clean, maintain and protect your Chalfont wood floor investment. Call us today for a free estimate, and we'll have your floors gleaming again in no time! We understand that scheduling a floor cleaning company for your Chalfont home can be a challenge. You are busy and we appreciate that. We are small enough to give you the customer care you deserve, but large enough that we can be flexible with wood floor cleanings. Simply call (267) 495-5188 and we'll schedule a time that best suits needs. We can arrange day, evening and weekend cleaning appointments. Call today and we'll add you to one of our regular Chalfont wood floor cleaning routes!